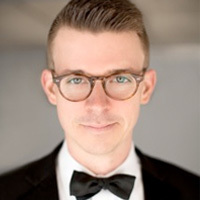 Stuart Hill, director of Music Education in the Department of Music, will lead CHARIS, the St. Louis women’s chorus, in two weekend concerts April 26-27 at the Missouri History Museum. 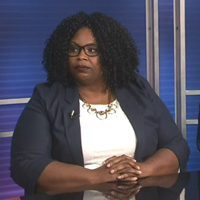 "In many ways I see it as a critical counterpart to my work here at Webster," said Hill. "CHARIS stands as a powerful example of what mission-oriented community music making is all about...to make art and enjoy fellowship with each other, but also to sing repertoire and to engage in actions that uplift and support women and the LGBTQ community." 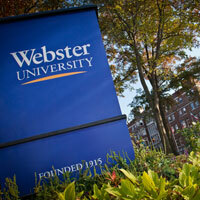 The Webster University community is invited to attend a retirement celebration for Peter Sargent. He is retiring as Dean of the Leigh Gerdine College of Fine Arts at the end of May 2019 after almost 53 years of service to Webster University. Please join us on Thursday, May 9, 2019 from 3-5 p.m. in the Thompson Music Building to celebrate. Please RSVP to provostevents@webster.edu. 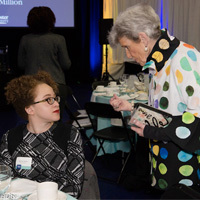 Nearly 300 Webster University donors and scholarship recipients joined President Stroble and Provost Schuster for the 2019 Scholarship Dinner on April 4 in Grant Gym. 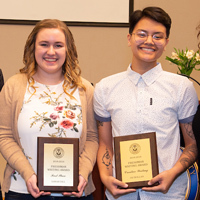 This annual event brings together the recipients of Webster University scholarships, with their generous donors, to celebrate and connect. A tribute to Marilyn and Sam Fox’s years of generous support of Webster University was the highlight of the evening. Webster University was well represented on the St. Louis Intercollegiate Athletic Conference (SLIAC) 2019 All-League Teams for women's tennis on Wednesday afternoon. On the All-SLIAC Teams for women's tennis, Webster had a total of six players named to one of the leagues two teams, including three First-Team selections that were voted on by the head coaches. Webster Information Technology is seeing an increased number of reports from people who have been receiving an email from someone impersonating a Webster co-worker, supervisor or executive. These emails often come with a subject line of “Urgent” or something similar and try to engage the recipient into a conversation by asking if they are available. The purpose of these scams is to manipulate the recipients into replying by pretending to be someone they know. Please be extremely cautious in your daily email communications. 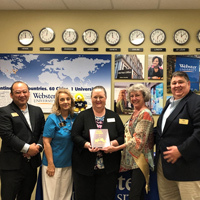 The Career Planning and Development Center’s faculty survey is now open for all Webster University faculty and adjunct faculty to participate. 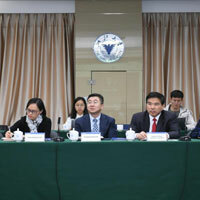 The goal of the survey is to strengthen ways to best serve faculty and Webster students in the areas of career development and employer relations. Congratulations to Webster’s Men’s Golf team who won their third consecutive SLIAC league title on Tuesday at Weaver Ridge Golf Club. The team won by 73 shots over runner-up Fontbonne. At this year's SLIAC Championships, the Gorloks carded a 25-over 889 as a team for 54 to win its third consecutive and ninth all-time SLIAC title and also earn a return trip to the NCAA Division III National Championships in mid-May in Kentucky. 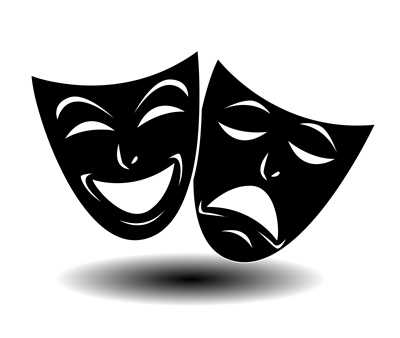 On Sunday, April 28, a large group of Webster University Students, including thespians, technicians, stage designers, costumers, videographers, actors, and musicians will try to make history. They plan on designing, learning, rehearsing, and then performing a yet-to-be-named musical in record time. 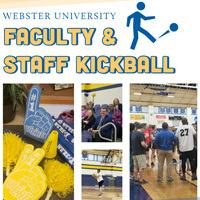 Webster University faculty and staff gathered after work on April 19 for the first faculty vs. staff kickball game. The faculty team dominated the first game, but then the staff stepped up their determination and won the second. This fun meet-up brought faculty and staff together in ways our normal office hours do not.